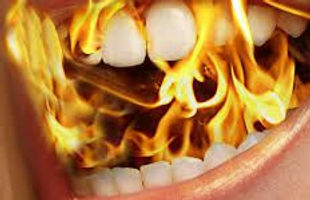 Now, here’s a question…Could it help with Burning Mouth Syndrome pain? Only time and usage will tell. BMS sufferers can be a subset of the larger number of people who suffer from migraines, but some are not. I have had chronic migraines for nearly twenty years and will be trying this medication as soon as my local pharmacy receives it. I will let you know if I perceive any relief of my primary BMS. This will be anecdotal, of course, and I have no expectation that any research will be done any time soon on this medicine’s effect on other chronic pain syndromes. I am on my second month of the trial of Aimovig and the first month I had as many, if not more, migraines than usual with more intensity than usual and more breakthrough days where even the double dose of Imitrex did not back my migraine off. My neurologist switched me to Maxalt and that seems to be working but a bit more slowly than Imitrex did. I started the second trial month last Saturday, and so far, no more migraines but the month is not nearly through, so again I will wait and see. This may, however, be the last wait and see for me since my insurance has declined to cover Aimovig and the appeal process is slow. Did it affect my Burning Mouth pain? Not that I could tell. There were days when I was ruled more by the 4-5 day long headache, to be sure, but in general, I would say that I did not experience any measurable relief from BMS. Klonopin/Clonazepam ODT is still the answer for me at this point. Let me know if you have experienced any relief from Aimovig/Erenumab in the comments on this blog! Yes! Aimovig works for me. My migraines have been knocked down to one per month for the last two months I have been on it. Will it last? No idea, but I am enjoying this while I can. Insurance issues are ongoing and I may not be able to stay on this treatment unless I bear all of the monthly cost, which is substantial. Again, my friends, no discernible effect on the Burning Mouth Syndrome pain. It is amazing, however, to discover that I had forgotten what it was like to be a “migraine free” person. Few, if any migrainy days and no migraine fog to deal with on top of BMS? It is exhilarating. Aimovig is still working fabulously and keeping me at one or fewer migraines per month. Amazing. The insurance issues are resolved for now and the co-pay program from Aimovig means that my cost per month has been a maximum of $5 so far. At some point, that may end and I can only hope that the cost will not be astronomical. This brings me to an interesting question, however. What would I be willing to pay per month for virtually no migraines and no auras? $100, $200, $300, more? I am happy I don’t have to answer that question right now and I know I have full coverage until August when we will have to reapply. Until then, I will savor each and every migraine-free day.